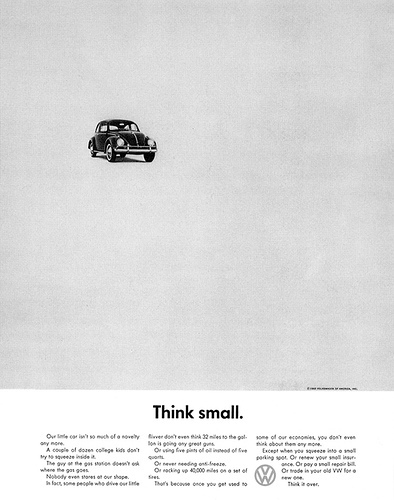 If you’re interested in marketing and advertising, Volkswagen’s “think small” campaign for the Beetle when it was first introduced to North America looms large as one of the greatest advertising campaigns of all time.  It wasn’t just a revolution in automotive advertising; it changed the entire industry. Under the supervision of William Bernbach, of advertising firm Doyle Dane Bernbach, Helmut Krone and Julian Koenig changed car ads forever. Until the Beetle hit the market, automotive marketing copy was full of bluster, and the images (often illustrated) were flights of fancy, emphasizing low, long lines and a fantasy lifestyle. The clean, simple photography on a white background that emphasized the Beetle’s compact, practical form may seem commonplace these days, but it was a revolution in a world where Americans grew up obsessed with muscle cars, horsepower, and tire smoke. Making the car small, when the convention was to make it fill the page, was also novel. The simplistic approach to design and layout was totally contrary to the advertising conventions of the time. What defined the ads even more than their visual style was the tone of their copy. The text was minimalist in both look and content, presenting the facts simply instead of trying to weave tall tales and fantasies; and instead of bluster, it ushered in an intelligent sense of humour that made readers feel like they were in on the joke. The message was one of smart anti-luxury, and took gentle aim at an industry obsessed with superficiality and styling, rather than the substance underneath the car bodies. Not only does “think small” continue to inspire Volkswagen advertising to this day, it ushered in a creative revolution in the advertising business and changed the world of marketing forever. “Think small” showed the power of humour and honesty, and its photographic and design principles brought about a major shift in the look and feel of marketing around the world. If you love the Beetle, check out our complete inventory here!